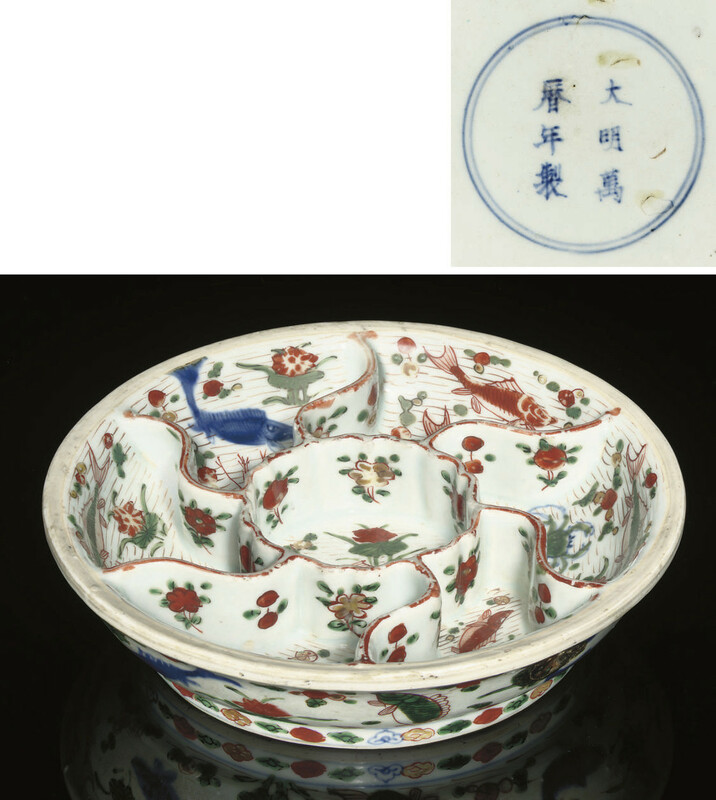 the circular vessel divided into six petal formed compartments around a central foliate rimmed compartment, painted in underglaze blue and coloured enamels with various fish and crustaceans amongst aquatic plant life -- 9 1/8in. (23.2cm.) diam.